It has often been passed down from one generation to the next the belief that one should not burn bridges because once you burn bridges you can no longer cross them. While this is good advice in general, there are some bridges you need to burn. As many of us know, the word bridges is often used metaphorically to refer to people who have and/or can benefit you. If you’re a principled person, then you’re not going to stay beholden to a person who has done you wrong, even if that person offers you great benefits and has a strong network of connections to extend to you. When someone, including a parent or grandparent, wants you stay on the good side of someone just because of the benefits he or she can and/or do offer you, then you need to let that person know that you’re not willing to sacrifice your principle and who you really are just to keep getting benefits from a person. Your parents and grandparents are not important enough to allow them to sacrifice your principles and character. While one should not feel like he or she cannot obtain good advice from people, this does not mean all “good advice” is right for you. Sometimes “good advice” is right for many people but it may not be right for you. People who are perceived to be good for everyone they are around may not be good for you. Always do what’s best for you. Always be willing to disassociate from anyone who does not inspire the best in you. If someone constantly weighs you down, then this person is not good for you, even if this person has some positive benefits to offer you. You have to understand that the people around you can offer you positive benefits, but you must seriously weigh and consider the costs of those benefits. Are those benefits more costly than they are positive? Do you continue to associate with some people just because you don’t think you can make it without them? If so, how important is being a principled person to you? You cannot be a truly principled person when you’re willing to do anything to stay on the “good side” of people to keep reaping benefits from them. Are you willing to do anything to keep your employer happy? Are you willing to deny who you are to keep your job? If you are, never claim to be a leader and one who keeps it real. Some “wisdom,” not all, that has been passed down from your parents and grandparents is not an apt fit for our postmodern epoch and, more importantly, it’s not wisdom at all for you and who you really are. In no way does this piece assert that you need to walk around and pretend that you don’t need anyone. This piece also does not contend that you should go around severing ties with people without a clearly defined purpose. However, don’t let “good advice” and people own you. This article seeks to communicate a great concern with the “wisdom” of “don’t burn bridges.” If people don’t apply the wisdom of this concept appropriately, then it can turn them into slaves of ideas, people, and organizations. If a bridge will easily collapse on you, then you don’t need to remain on and around that bridge anyway. Surround yourself with bridges that will be there to support you even when things are going tough. Burn those bridges that are not dependable and that are mere illusions of bridges. Of course, don’t forget the bridges that brought you over. This piece wants you not to forget them for a reason that is not traditionally passed down to you: Don’t forget those bridges because you need to assess the past and present ones so that you know which ones to burn, which ones to keep, and which ones to never cross in the future. Thank you very much! It’s always very rewarding to hear from my readers that they enjoy my work. Again, thanks very much! I know that’s right!! 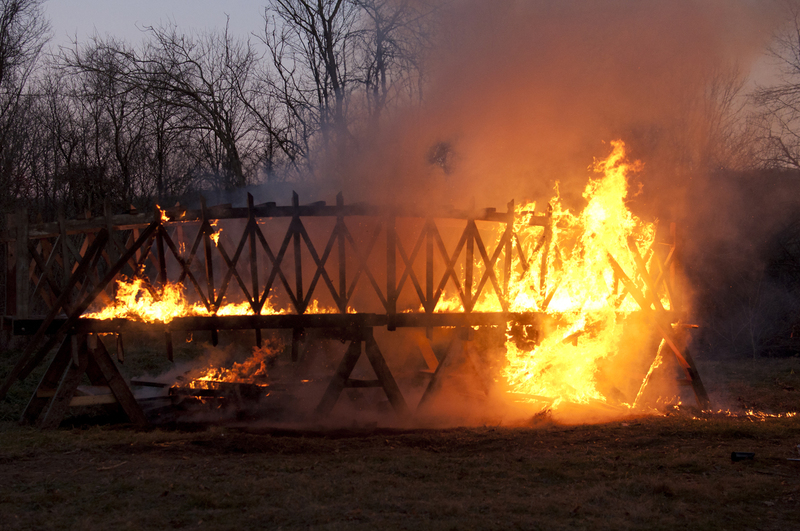 Some bridges need to be burned… I’m learning that now! Thank you! I wish I had learned the things expressed in this article long ago. I know… and no problem!! You have a fantastic blog, and I love this post.